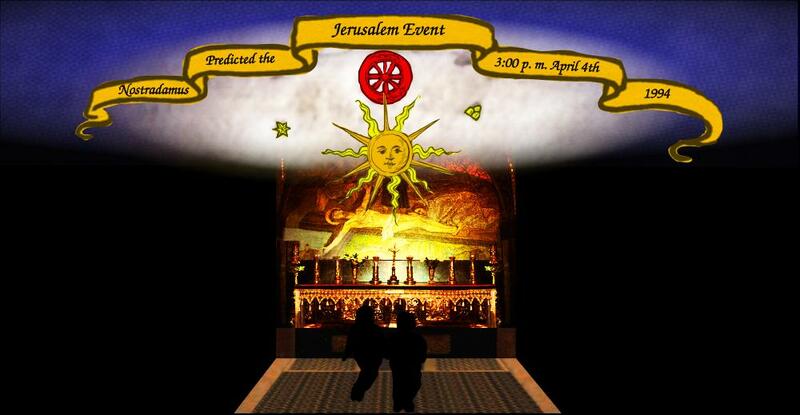 Below is an encapsulation of how the Pneuma Yod Project was born. As with all evolution, the Pneuma Yod Project, or PYP as they prefer to be called, started from a spark. In this case, the spark was ignited through an experience of terror and subsequent escape from said terror of the project’s founder Guy Juarez. This statement will not be surprise anyone who has read “The Chronicles of Guy’s Alien Encounters.” For those of you that haven’t, you can read or download the book from either Guy’s personal site www.pneuma-yod.com or the 777 Center Home page. In a nutshell, in this shockingly, revealing and at times gut-wrenching e-book, Guy bares his soul, so to speak, and recounts his experiences that focuses on the time between 2000 through 2004, when he finally broke free to pick up the pieces of his life. It was his understanding of the help and guidance he received to help him break free that led to the laying of the first foundation stone of the PYP. Guy’s escape from the terror that had become his life, led him to the 7 Keys Center Millennium Awakening Center in Lakewood, Washington. There he found kindred spirits he could share his story with, whom also had stories of their own. Hearing of a study group to uncover the Ancient Mysteries held at the center, Guy quickly signed up. Over the next year, he slowly began to see the benefit of self-discovery and how each person had a purpose on Earth. His purpose was obvious, to use music to touch peoples souls. Music had always been a passion for Guy. He and his brother had started the band Mr. Nobody in the early 90s and quickly gained success, playing in bars and clubs every weekend throughout the Seattle area. In 2000, life was great for Guy; he was happily married with three children, he had steady work during the day to pay the bills, plus he was supplementing his income with his true love, music. Then he met a woman and within a year he had lost it all, his wife and family, band, music, and job. After the 7 Keys closed in the summer of 2005, Guy continued his study with us in our home. Earlier that year he had joined the I.D.E.A Foundation for the Benefit of Humanity as a director, because the foundation’s goals were in line with his. He also began writing music again, but this time he was using it in a healing, transformative way. As fear had been such a strong presence in his life, Guy keyed in on addressing that emotion. Consequently, he wrote the powerful song “Because of the Fear”, to which two videos were produced. The first video, using the title of the song addressed fear from the material, physical perspective. However, the second video incorporating Tibetan gongs and called “Gongs of Change”, presented fear from the energetic perspective. Both videos are available on Guy’s site. After producing the videos, the flood gates opened for Guy and he began writing and composing songs profusely. It seemed he was presenting a new song to us almost every week. We found them inspirational and deeply moving. For Guy, the songs were about his “journey to forces calling him to see something greater than himself.” So many things inspired him. For instance, after watching a YouTube video by Dr. Jill Bolte Taylor about her experience when she had a stroke, he was inspired to write “Silent Mind.” Nonetheless, most of his songs were about what he was learning. In 2007, Guy was ready to present his work to the world and after his web site Pneuma-Yod was set up, he began making some of his songs available for download. During this time, although he worked with a couple of ex-members of the Mr. Nobody band, he didn’t try to put the band back together that door was forever closed; he was different and therefore his music was too. Still, the drive to share his music with the world was getting stronger, and the number of songs kept growing. Following a mass e-mail we sent out to our former patrons of the 7 Keys in the fall of 2010, we received a reply from a young man who had been in the study group. His name was Dan Bogrand and after he conveyed a wish to continue studying with us, we invited him to our home. It soon became apparent that Dan supported the I.D.E.A Foundation’s goals and so he accepted our invitation to be a director. As expected, Dan and Guy bonded immediately, not only because of the same philosophy, but also because of their deep love for music. Expressing a desire to play the drums, Guy encouraged Dan to start practicing with him on a regular basis. At this time, Guy had signed with the record label TMG music group to produce a CD of his songs, which he had mixed in his home studio in a controlled environment. With this action, Guy laid the foundation stone for the Pneuma Yod Project, because the next step was to promote the CD, by playing in public. Before we move onto the next phase, let’s take a moment to examine his choice of name for the project. The name evolved from Guy’s inward journey of self-discovery. Coming to understand the spirit is within us, he wanted to reflect this in the name. Pneuma is literally the Greek word for “breath”, but philosophically it is more akin to representing the Soul or Life-force. On the other hand, Yod, the tenth letter in the Hebrew Alphabet means Spirit and represents the spark within us all. By combining the two words, Guy wanted to convey the importance of both aspects in the human being. Dan and Guy’s practice sessions were getting better and better and as the drummer, Dan became known as the “heartbeat” of the band. As their confidence grew, both were feeling they could play out in bars and clubs, but they both felt they needed a third member to build the next level in as they were calling it, “the temple of sound for the soul”. After all three is the minimum number needed to build a structure. The universe must have heard them, because shortly after Guy was in Starbucks one spring morning of 2011. Standing in line for coffee, Guy noticed the young Barista standing behind the counter. When he reached the counter, the young man asked, “Are those guitar pegs?” Guy immediately knew what he meant; Guy had worn guitar pegs as earrings for most of his adult life. Introducing himself as Mark Larsen, after Guy affirmed his assessment, the young man offered, “I play guitar myself.” Considering his desire for someone to join the band that he and Dan were putting together, Guy smiled and said, “Great. Why don’t you come and play with us.” Mark did, and Guy later related to us that to say that Mark “played the guitar” was an understatement in the extreme. Emphasizing the point, he added “I think he is a prodigy.” At the time we had to take Guy’s word for it, although we knew that when it came to music he was usually brutally honest about a person’s talent, or lack thereof. What neither Guy nor anyone knew at the time was that Mark also used music to heal and he had an understanding of music that went very deep for one so young. We would call him an old soul, because like Guy and Dan, music was so much more than just something pleasant to listen to for Mark. This understanding became clearly apparent, when we asked Guy to write and create the music for a meditation we were putting together for the summer Solstice of 2011 for the Bridge to Peace Project. As well as writing the music for the meditation, we also asked Guy to narrate the guided meditation. The project had grown out of our connection with the work of Dr. Carl Johan Calleman. Early in 2011, we had read his book “The Purposeful Universe”, and realized how his work could be applied to promoting world-wide peace. After contacting him through our director and friend Leyland Carney, Dr. Calleman graciously consented to supporting the project by becoming a Close Associate of the I.D.E.A. Foundation. For the meditation the three members decided to incorporate the powerfully healing 432 Hz as well as the Tibetan gongs and Solfeggio tones. The tones and the gongs together created such a unique and riveting sound. After Guy had written his guitar piece, it was no problem for Mark and Dan to find their inspiration and contribute their piece to the music. The result of their efforts was the truly moving and hauntingly beautiful arrangement that is the center piece for the guided meditation. Following the meditation, the Pneuma Yod Project stalled for a short time, while Guy exorcized the demons, so to speak of his experience in 2004 through writing the e-book. The main result of writing the book was that Guy recognized the different “players” in the events. Through this, he understood that the “aliens” he encountered were merely trying to help him remember his purpose here; that is, to use music to help bring peace and harmony to the world, by touching people’s souls. When the book was finished, Guy posted the link onto his Facebook page, which led to another important connection for us. While he was working on the book, he had connected with the so-called UFO community on Facebook, and through them had learned of the work of Dr. Carol Sue Rosin, and had friend requested her. On November 11 2011 having sent a message to Dr. Rosin, Guy was in the middle of writing to another friend when a box appeared on his screen indicating the former was responding by instant message. Carol related that although not intending to turn her computer on, “something” had moved her to do so. Discussing the serendipity of connecting on such an auspicious day ---11:11:11, as the world focused on Peace through multiple events, the serendipity of the contact was further reinforced for Guy on learning he and Carol shared the same birthday. The next day Guy sent Dr. Rosin a letter explaining our work and she again delighted him with an immediate response not only saying she felt they could work together, but also expressing a desire to speak with us. The rest as they say is history, we immediately bonded and began helping promote the Peace in Space Treaty banning all space-based weapons. 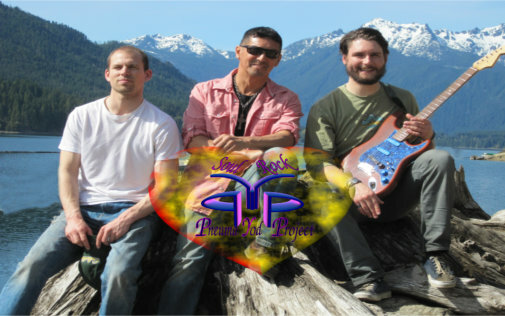 “Silent Mind” CD was released in early 2012 and the Pneuma Yod Project moved into full swing again. At first, it was unclear as to what direction they were going to take, but Guy felt they needed to take the next step by bringing the energy of the songs into the material plane by playing live. Today, all three members see PYP as still evolving and envision the project growing and developing as other singers and or musicians are moved to help them build their temple of sound. They encourage anyone, so moved to contact them. Philosophy, and or beliefs are not a consideration, other than each potential member recognizes the truth that at the soul level, everyone on Earth wants to live in peace and harmony. We await PYP’s first live performance with eager anticipation. Hello Friends for Peace— As you know we have been searching for 144,000 world peacemakers for our map with at least one person in each country. Through your generous support, we are delighted to say that we have succeeded in finding a world peacemaker to represent every country (165 plus) on the map. We also now have more than 1% of the 144,000 names on the map. 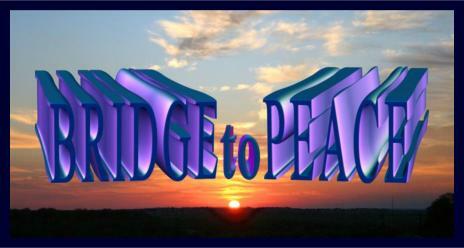 Now we need to build on this by moving onto the next step, which is the Bridge to Peace Project. The project is an “experiment”, which uses the premise that symbols and archetypes can initiate a change in the mass consciousness and create a frequency shift. Our “experiment” or the Bridge to Peace Project was formulated to apply Dr. Calleman’s theory of a universal generator driving evolution that he calls the Cosmic Tree of Life. This “tree” is reflected in every cell of our bodies by a miniature tree of life. The way we are employing Dr. Calleman’s theory is to bridge the gap between the universal Tree of Life and the cellular Tree of Life, by creating 3 energy trees that represents the Universal/Divine, the Objective or Physical, and the Sub-conscious or Inner Kingdom Planes. To do this we are taking the (logos) or visual representation of 33 (32 + The Bridge to Peace Project) carefully selected groups who are working to create a better world, and or actively promoting peace and arranging them in the form of 3 Trees of Life on 3 web pages we are calling the Partners in Peace Pages that links directly to their web sites. This will create a bridge between the Macrocosm or Super-consciousness, and the Microcosm or sub-conscious through the conscious intent to actualize the intent of the world peacemakers on the map. The (logos) or visual representation of the 33 groups arranged in the forms of the Tree of Life that links directly to their web sites will archetypally represent the Conscious intent of the growing number of world peacemakers and generate the deepest level of Peace. At the center of the Conscious energetic “Tree” representing the Bridge to Peace Project is the picture of two pyramids denoting As Above; So Below – As Below; So Above that were especially created to heal the world. Dr. Calleman’ theory is that if we can find resonance with the Cosmic Tree of Life we will then begin to manifest the Cosmic or Divine Plan. We believe that this resonance is the purest form of peace that is referred to as the “Peace that passeth all understanding”. As was written in the article on the Peace Page — The Multiple Levels of Peace, we believe that Peace at the deepest level is an evolutionary imperative we are all subconsciously seeking; as reflected in the ancient greetings “Peace be unto you” still used in the Middle East by both Jews and Muslims. This level of “inner” Peace is what is required for us to co-create the world we all want and employing Dr. Calleman’s brilliant theory and finding resonance with the Cosmic Tree of Life will achieve it. Basically, we are using the critical mass number of 144,000 people’s first names, or the name(s) they are resonating spiritually with to create a mass resonance that will emanate throughout the world bringing a new balance and harmony to this chaotic world. This will in no way usurp people’s free will, because they will each have to decide how they react. It will however, create a space or “eye” if you will in the storm and give people the time to ask the question “Why am I here?” Many people will think that this is “pie in the sky”, but to us we believe that Dr. Calleman’s scientific theory could finally shift the balance from fear and despair in the mass consciousness to hope and joy, which of course will generate both Love and Compassion and will start creating a peaceful harmonious world. Moreover, we believe our “experiment” will create a critical mass to shift the mass consciousness towards peace and get Dr. Carol Sue Rosin’s Treaty signed. For our “experiment” to be successful we need to gather 144,000 names ASAP so that their intent and energy can be connected to the Tree of Life on the Partners in Peace Page. Obviously, individually contacting this number of people is logistically impossible for only a handful of people. Consequently, we are looking for “Promoters of Peace” who will help us gather the names by asking their Facebook friends to allow them to recognize them as World Peacemakers. Then ideally, these promoters will send us a list of their names with the town/city – country/state. We will then create a PDF document for the map that lists your full name (and photo if you want) as a Promoter in Peace, with a list of just the first names; or name they wish to be recognized by. If you don’t have time to collect all the names, but would still like to help, you could ask your friends on Facebook if they would agree to allow us to gather their names and locations. Again, we will only ever use their first name and will never share their information with anyone. The energy of Altruistic LOVE is of the same vibration as Peace and to increase both exponentially we need to come together in perfect harmony surrounding the planet with an umbrella of Peace & Love. The Bridge to Peace project and the world peacemaker’s map was created to do just that by getting the Treaty signed. Please help us spread this message of how anyone who wants peace can help make it a reality by simply adding their first name/alias to the map. As you know this has been a multi-staged project that began when we co-sponsored a world wide press release with the organizers of the Lothlorien Peace Festival in France September 21-24 calling for a 3 Day Moratorium on all News to focus on peace. Our goal then was to get 144,000 people to focus on peace to utilize the energies being generated by a Global Meditation on Peace on the 23rd during the start of the Cosmic Convergence of the comet Elenin. We succeeded in getting 144,000 when our co-partner in peace Tony Burroughs sent out a letter I wrote to his Vision Alignment Project Intenders to align with the Peace Festival. This facilitated our being able to hold a place for every country not represented by a world peacemaker, until October the 28th. Afterwards we had to take down the purple dots holding the place in unrepresented countries, but we were still working towards locating 144,000 for the 11:11:11 event. As you know we are in charge of our reality and the 11:11:11 event took off with people from all over the world planning ceremonies of one kind or another. 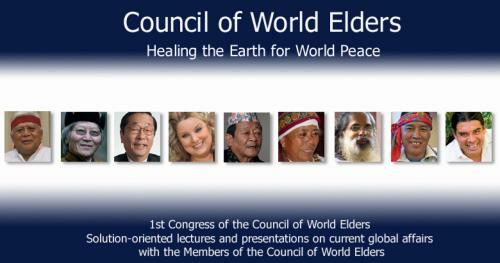 In particular, the Council of World Elders (all of whom are on the KTI Map and were very much a part of the Peace Festival) announced they were taking the 13 Crystal Skulls across the country to Los Angeles to perform a ceremony there. Moreover, as it is also Armistice/Veterans Day which honors the time when on the 11th hour of the 11th day of the 11th month 1918 the final shot was fired that ended WW1. Plus the “Occupy movement” being ongoing and indirectly focusing on peace by hi-lighting the greatest enemy to peace— greed, also adds energy to the 11:11:11 date. All of these factions are converging facilitating an opportunity for Humanity to shift the consciousness with only 1% of the 144,000 or 1,440 people identifying themselves as world peace makers. I realize that this may sound crazy to many people and pie in the sky, but to us; if there is the slightest chance that finding 1,440 people could change the world for the better for everybody, we have to try (…we got the numbers— thank you everyone). The movement cannot stop with the 11:11:11 event, and so we created a petition for peace aimed at giving validity to the “Occupy movement” for acting as the conscience of not only America, but also the world. Our goal in this petition is to stir the sleeping giant into realizing that everyone has a voice and there is authority in a united untiring effort. The 1960s Civil Rights movement instigated the end to Segregation however; it was the people that passed the Civil Rights Act by using their voice in contacting their representatives in Congress and “voicing” their wish to end it. For far too long, those working for peace and a better world were considered “fringe elements”. It is our intention to correct that assessment by showing that spiritual growth is on every level and we all have to work at the practical level as well as the spiritual to affect real change. We hope that you will support this effort by signing the petitions to align with “Occupiers” shining a light on the greatest enemy to peace— greed. —STOP THE WORLD FOR COSMIC CONVERGENCE & CHANGE OF DIRECTION! Dr. Carl Johan Calleman and organizers of the Lothlorien Peace Festival in France September 21st, 22nd, 23rd and 24th, together with the Know Thyself Initiative have recognized Humanity is being offered a rare opportunity to change direction. The opportunity is being afforded by the entrance into our Solar System of 3 cosmic bodies, comets Honda, Levy and the most important Elenin. Many believe the advent of these cosmic bodies may well be fulfillment of the Hopi prophesy identifying the return of the Blue Star Kachina (Elenin) along with the two brothers (Honda and Levy). Various videos are circling the Web linking alignments of Elenin with the recent major earthquakes in Chile, New-Zealand and Japan. Having detected another major alignment on September 26th, where Elenin passes between the sun and the earth, many are sounding the alarm and warning of the probability of at least one major earthquake. Although conceding that this is one possibility of the alignment, we would like to offer another outcome. Seen from a purely energetic and consciousness perspective, this alignment can be used to propel the Human Race into the next step in evolution. Science today acknowledges everything is energy and Elenin is no exception. With that in mind, if we change the way we think then we can use this “Elenin energy” to usher in the long awaited Shift in Consciousness. If you have switched off, thinking this is just pie in the sky or wishful thinking, let us talk about how a small number of people can affect the mass consciousness. We have seen time and time again how a few angry people can stir normally reasonable individuals to become an out-of-control rioting mob. Psychologists say this happens because of the collective consciousness. Fortunately, as with every group scenario it also works the other way, a positive message of hope can motivate people to believe in the impossible. This is what we are advocating. The Cosmic Convergence September 23rd, 24th, 25th, and 26th will use the energy generated by the Peace Festival where people present, as well as a multitude of groups and organizations outside will be focused on one single thought: Peace. There are three ways in which you can participate in the Cosmic Convergence and like concentric circles; they grow larger as we move away from the center. The first is to go to France to the Peace Festival and join the spiritual teachers like Dr. Calleman, Masuru Emoto, the Hopi, Mayan, and many Indigenous elders in generating Peace throughout the world. The second way is by declaring your intention to align with the two statements below that Dr. Calleman suggests. That we will consistently let our lives be guided by divine guidance rather than our egos. On the face of it this statement may seem a no-brainer, but that could be an over-simplification. If we consider that “divine” represents our individual spirits, which are all connected to each other and always want what’s best for everyone; whereas the “ego” is the part of us that always looks out for number one, so to speak, then we can see the deeper implications to the declaration to commit to “consistently” following “divine guidance.” The way we can identify the difference between the spirit’s input and the ego’s, is to remember the spirit finds common ground to unite us; whereas the ego points out differences to keep us separate from each other. The second declaration is also not so cut and dried and needs some explanation. Considering what is happening in the world today, it is understandable why Dr. Calleman and the people in the YouTube video felt the need to make the statement: “I declare my independence from the dark side now!” This falls in with the 3 Day Moratorium on ALL negative news, as in “turning our backs” or declaring our independence from the dark-side/all negativity. That we pledge to focus on Love & Compassion for ALL Life seeing the world united in peace. We believe the energy generated by this new declaration can utilize the energy being generated and shift it to the positive. It is important to state that when we speak of Love we are not speaking of the feel good romantic love for a person, but the All-powerful Creative Force that permeates the universe giving life to all. This Love is experienced as a mother holding her newborn baby for the first time, or the first sight of breath-taking natural beauty as in the Grand Canyon, or a moonless star-filled night sky. This kind of love has power to change us in every way; Masuru Emoto’s work with sounds/words and emotions affect on water crystals is a perfect example. The individual human spirit experiences only 3 emotions, Love, Compassion and Joy. Consequently, this declaration was formulated to engender an awakening of the spirit. This is why Dr. Calleman graciously allowed us to use the positive version for our recent press release to reflect the spirit of the Peace Festival. Energetically those able to make these declarations and focus on them in meditation or prayer will be literally tapping into universal creative energies to raise not only their vibration, but the planet’s too. However, many in society are dealing with so much stress and anxiety that to loose themselves in Love and Joy is impossible. For those immersed in everyday life and struggling to survive let us remind you of the sub-heading “Join the 3 day moratorium on All negative News.” This is the third and in some ways most effective method of connecting to the Cosmic Convergence. Again science, particularly in quantum physics has demonstrated that we affect matter by our thoughts. Today in this technological age we are faced with a barrage of bad and negative news every day. This only adds to the stress and anxiety already experienced at intolerable levels by large numbers of the population. Unfortunately, because of the connectedness of the mass consciousness this also lowers the collective consciousness. Consequently, for those of you desperate for some relief from this, we offer the third way to help yourself while at the same time adding your energy to the Cosmic Convergence. We say to abstain from obscenities not for moral purposes, but purely as an energy thing. These words lower the vibration, even when spoken in jest. Instead, if you let your speech reflect only positive thoughts, abstaining from all negative input and then perhaps the event becomes a self fulfilling prophecy– “3 Days of Darkness” by way of a media “blackout”. We turn our back on “news as usual” and create the alternative: Peace. A good example of the effectiveness of “turning your back” on all negative input for 3 Days can be seen in the mini-series Merlin. In a nutshell, the plot centers around Merlin trying to end the constant conflict in Arthurian Britain while being constantly thwarted by an evil twin of the Lady of the Lake: Min. It is how Merlin defeats Min that demonstrates what we are advocating with a 3 Day Moratorium. During the final battle, where Min looks as if she has the upper hand, Merlin simply tells her she no longer has any power over him and turns his back to her, along with all the onlookers. As Merlin stands there, Min tries to get his attention, but when he and all present continue to ignore her she slowly disappears. Although this is a fictional story, its writers were inspired to present this to enter our subconscious and remind us that denying negativity weakens and dissipates it. Consciousness is neutral and will reflect our focus. If we are immersed in fear, stress and anxiety the negative grows exponentially until it dominates the mass consciousness. What we are proposing is to take a time-out from this stimulus and re-focus on things that bring you joy, whatever that may be. Some of you may want to look at beautiful photos (see transformative art below) or visit family or good friends. As long it does not involve negative emotions or thoughts, what you choose to do for those 3 Days is entirely up to you. By disconnecting from this reality, or being in the world but not of it, you will be connecting with the Peace Festival in France and the many groups focused on Peace during the Cosmic Convergence. For those of you so motivated to do so, you can add extra energy to your intent by placing your light on the global map located on http://www.triple7center.com/ for the Know Thyself Initiative. As more and more lights are added to the map, the positive energy will grow in the mass consciousness. This is then increased even further by the multiple groups working around the world to bring peace and harmony. The power is in your hands; recognize that each of us is here at this time to be a part of the wonder and get involved. Placing your light/name on the map publicly declares you see a need for change and are aligning with like-minded individuals. If a large number of people simply abstain from the negative for 3 days it will add to the energy being generated by the Peace Festival and Cosmic Convergence in a positive way becoming the catalyst for the Shift in Consciousness. Recently I have seen posts on Facebook that have been weighing upon my mind because of the misunderstanding that they project and therefore can incite fear in the reader/listener. These posts concern beliefs that we are not wholly responsible for what is happening to us right at this moment simply because there are outside forces dictating our lives. Conspiracy theories, government cover-ups, Alien agendas, are being blamed for many things that are happening to the population. Although to some extent this is true as we are all affected by outside forces, to place blame for everything that happens and our actions on mysterious forces suggests that we do not have free will to chose. The seduction of this world is great and this illusion/reality is filled with things to sway us, be it good or bad. Anything that I have done in my life I have done on my own free will; it has always been the responsibility of the individual to let light or dark into their life. I believe that what people are misunderstanding as the manipulation of the masses is truly the result of what the Shadow of Deception has done to influence Humanity throughout history. The “Shadow”, prince of this world or Eckhart Tolle’s collective pain body is a living consciousness and was created from every lower emotion and thought of Humanity. After it gained consciousness its soul purpose was to disrupt/corrupt the spiritual growth of Humanity. This powerful entity was the result of the “Watcher’s mistake” and has always truly been the man behind the curtain, the main influence behind man’s destruction using anyone open to selfishness to do its work! (Please read between the lines here) People in powerful positions would naturally be targeted by this entity for obvious reasons; if the “Shadow” can influence people in high places like government then it would be able to affect more people by using the individual as a tool for its own agenda. As soon as anyone opens themselves up to greed or lust or any lower emotion they swing the door open for this consciousness to work within them. So what seems like manipulation by government or other aspects of civilization has really been the influence of the “Shadow” moving to block the light accessing the individual through their ego and counterfeit spirit and having them do the work. This has happened throughout history and the destruction from its work has dotted our history in War, Famine, Genocide, Greed, and Hate up until last summer 2010 when this entity was neutralized with Divine intervention. But the devastation from what it has accomplished still permeates this reality and lives on in the individuals that are unable to see this truth. From here on out we as individuals must come together to awaken Humanity; no more casting blame just understanding that we have NO MORE TIME to be distracted by such things. We must focus on the door in front of us that leads out of this reality that I believe is the Know Thyself Initiative or (KTI)! Following a most spectacular Lunar Eclipse, we arrive at the countdown to the end of this age. Endings of ages were fearful experiences for ancient civilizations as Graham Hancock points out in his Fingerprints of the Gods. However, they were also seen as a time of transition, with cataclysms that greatly reduced the population described as necessary birth pangs, but this end of the age is unique. It is unique because, unlike our ancestors at the end of an age where only a select few ascended or transferred to the next level, we have an opportunity to implement a Divine Plan to transfer 2/3rds of the world’s population to the next level through the Know Thyself Initiative.